Call me a glutton for punishment. After reading Derek Taylor’s book about his non-stop LSD trips and then seeing Derek’s widow talk about their non-stop LSD trips in “Living in a Material World“, I decide to read George Harrison’s autobiography that he wrote in 1980 with the assistance of …Derek Taylor! Oh goodie…more acid trips! Several years ago, I asked a world renowned Beatles expert and radio show host what book he thought was the best book ever written about the Beatles. 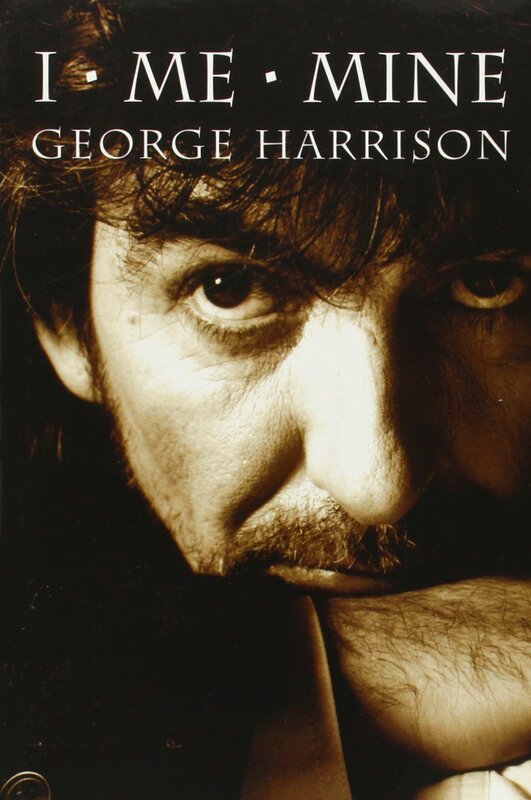 His answer was I, Me, Mine by George Harrison, so in realty, this book has been on my list for years. This book is three separate parts. Part one is a conversation between Harrison and Taylor about George’s thoughts on everything and nothing at all. For the Beatles fans that are looking for secrets into George’s past, you won’t find them here. What you will find is his thoughts on Beatlemania and his religious beliefs. And of course, you’re going to get the bonus of a lot of mumbo jumbo from Derek in between! The second part of the book is page upon page of pictures of George throughout his life. From childhood, adolescence, Beatlemania, Monty Python and beyond, including snapshots from the family album. I can’t say there was anything that wow’d me. 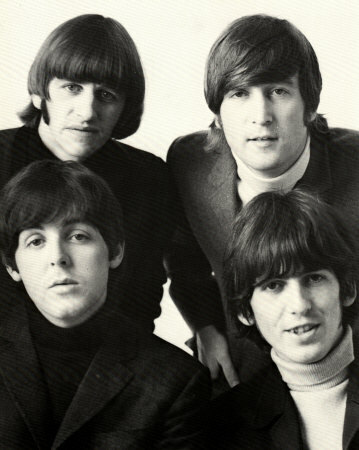 Part three of the book is meant for the diehard Beatles and George Harrison fans. Each of the songs that George wrote are presented in their raw handwritten form, typed form and another page with George’s explanation behind what inspired the song. This book left me a little disappointed. I guess I was looking for more about George from George instead of Derek’s edited version. The book almost seems like it was published as a way to placate the ever hungry fans for more information. Copies run on Amazon and Half.com from $0.75 up to $200. I borrowed mine from the local library! Hi Sandi – I remember reading this book when it came out. In fact, it was my first-ever purchase at a NY Fest For Beatles Fans “all those years ago.” I was psyched to read your review because #1 maybe I should read it again and… #2 I remember being very disappointed that it lacked any true insights die-hard Beatles fans would want to know about George – from George himself. I also remember John Lennon quoted as saying he couldn’t understand why George could write his bio and not even mention Lennon. If it wasn’t for him letting Paul’s young guitar playing friend into the band there would’ve been no reason to even write this book. I still have my original hard cover version, but think I’ll keep it on the bookshelf for a while longer. Thanks for the reminder and an honest review. Keep rockin’!